By now you already know that for me it is difficult to think of a photograph if it’s not printed. Some say that it’s “old school” because, thanks to our marvelous state-of-the-art monitors, looking at a photo on the monitor it is a true pleasure. 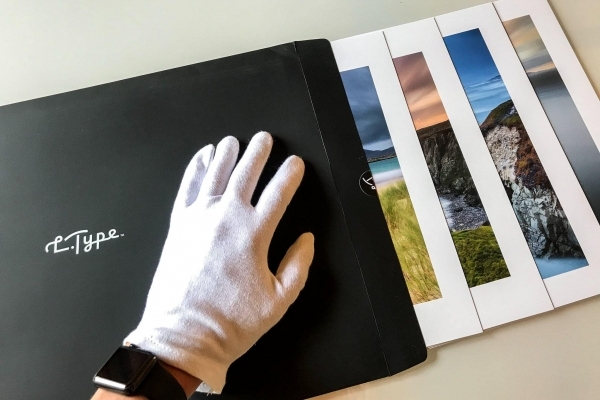 Yes, that’s right, but that can be averagely said by someone who never experienced holding in their hands a perfect print of one of their photographs. To me, print is really the third dimension of photography, which allows us to concretely touch the fruit of our hard work. I have been printing for several years, both privately and through laboratories, and I’ve always been obsessed with the pursuit of perfection. Some time ago, on the internet, I ran across a laboratory that was absolutely unknown to me: L.Type. A lab like many others, you might say…but actually really not. 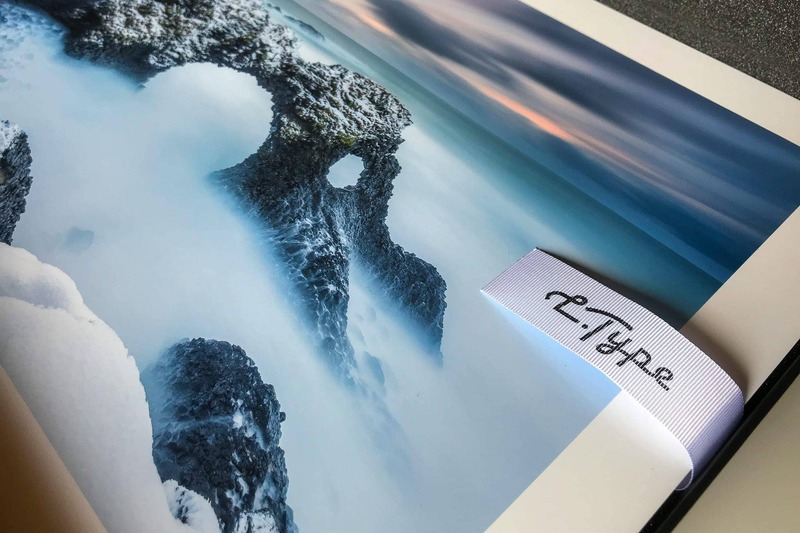 This is the story of how a seascape photographer has discovered the print that wasn’t there…well no, it was always there, but technology made us forget about it. If you love the world of prints, please take a seat (because you know, I am long-winded). 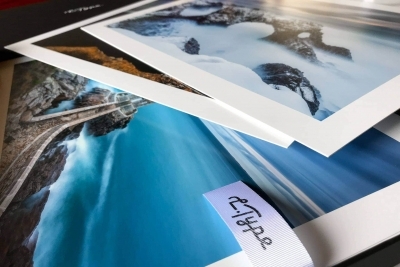 By now the word “Fine Art printing” is on everybody’s lips and apparently on mine as well, so I will try not to use it. I don’t want to deliver sermons or infinite technical debates because I would just bore you and surely there are more suitable places to talk about it, and much more qualified people. However you know that, in addition to serving your dish at your table I also like that you know a little about how the dish was cooked… Well, every chef likes it! Reducing it all to its lowest terms, so as to allow you to better understand what we are going to talk about and what you are going to have in your hands, it is important to know that when you decide to print your photograph (be it Fine Art or not), whether you turn to a specialist lab or you decide to do it on your own, except for particular purposes that require particular equipments, you are almost certainly going to make use of inkjet printing. In short, and making things simple, a printer equipped with a certain number of heads sprays ink on a sheet of paper. 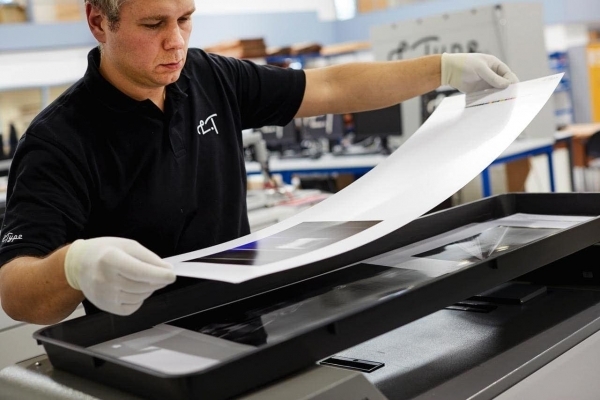 The more professional the printer, the greater will be the number of colors it uses and also the number of dots per inch (DPI) it is able to resolve, allowing us to have a better printed result. Then, by choosing different types of paper (and there are really many) we are able to obtain different final effects. It’s simple, isn’t it? Well not exactly, or at least not to me if I take into consideration that I’ve literally had to spend years of study and trials before I could reach an excellent level of homemade print quality. However, as you can surely imagine, in the mythological analog world prints were not made this way. There was (and there is) a marvellous world made of dark rooms, negatives and chemical baths. In this fabulous and variegated world, there was and today there still is also the “C-Type” print (or chromogenic print), that is a photographic print obtained from a negative in which the material that is sensitive to light is an emulsion containing silver halides. 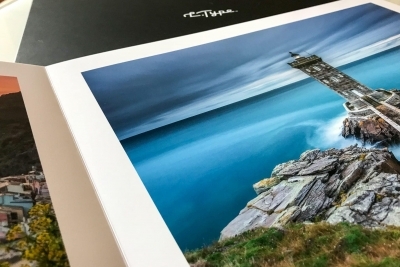 Because of the beauty of the final print it is still one of the printing methods preferred by many photographers. 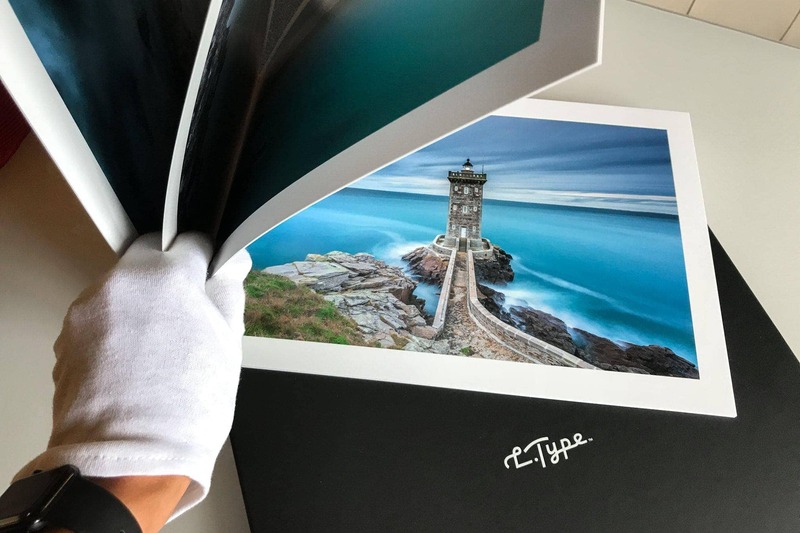 The advent of digital has also caused C-Type print to evolve, or rather there has been a strong will to bring the prints of digital images to these photosensitive mediums. Thus different types of prints were born, which use light instead of ink. 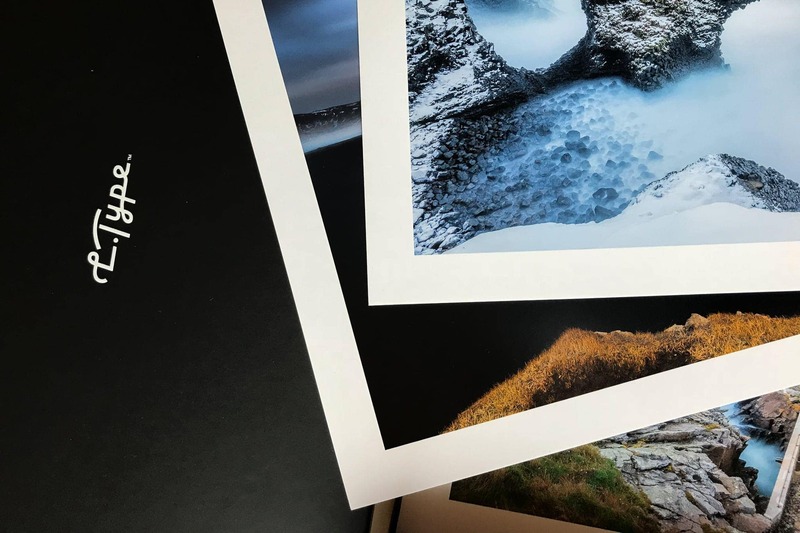 The level of quality that has been reached up to the present day is not satisfactory in my opinion, especially if I focus on the world of landscape photography: prints that aren’t very precise with regard to tones, oversaturated (and if I say so…) and definitely soft. But why did they try to bring C-Type print into the digital world? 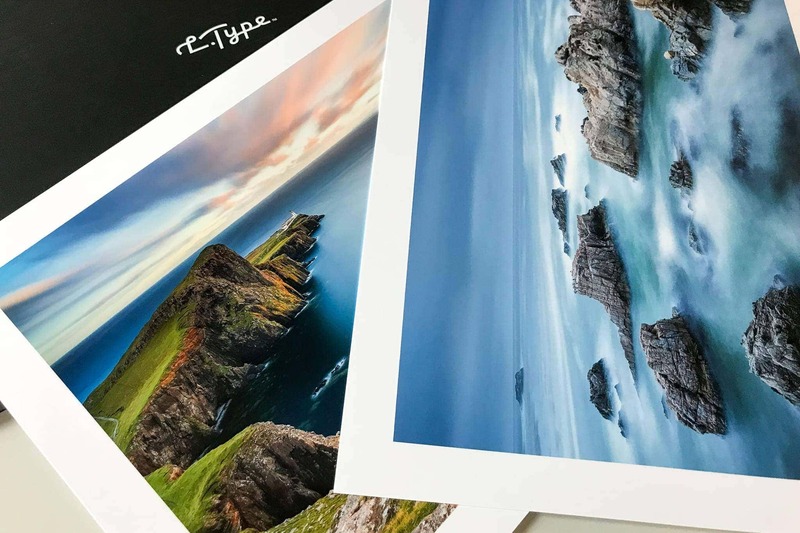 The answer is really simple: C-Type print was and is highly appreciated as it allows us to obtain continuous tone prints. But what does this mean? It means that any point on paper can be of any color we want (Within the paper gamut, of course). 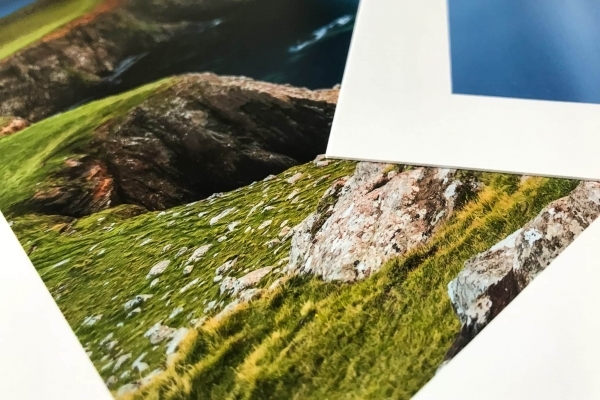 This differs from inkjet prints, where every point can only take the colors with which the printer works: for example, a 10-color printer like an however excellent Canon PIXMA PRO-10 is capable of producing the colors in an image with only 10 colours of ink. Where is the trick for having many colors in the final print then? Simple: by placing the color points close to each other and one upon the other, in very complex patterns, we obtain the desired color. 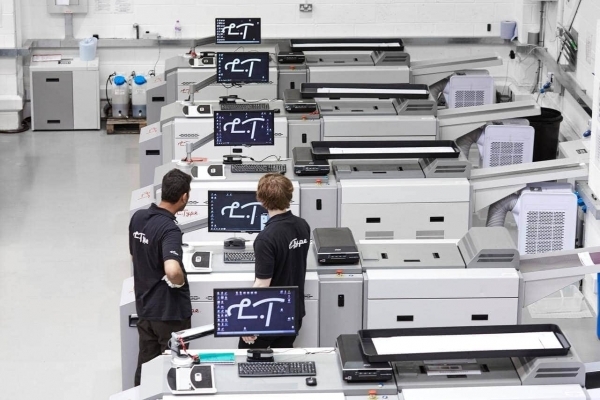 The higher the number of colours the printer has, the higher the number of ink dots it will be able to print close to each other (the mythological DPI of the printer – NOT to be confused with the DPI of the print: a printer claiming, say, 3000DPI will be capable of placing a maximum of 3000 small dots of ink per inch, but these are unlikely to represent more than 300 of your original image pixels per inch of paper, and that figure of 300ppi is the figure you typically output at for printing from Photoshop or other photoediting suites), and the more natural will appear the final print. This works well on a macroscopic level, because at a certain distance our brain does not detect the trick. 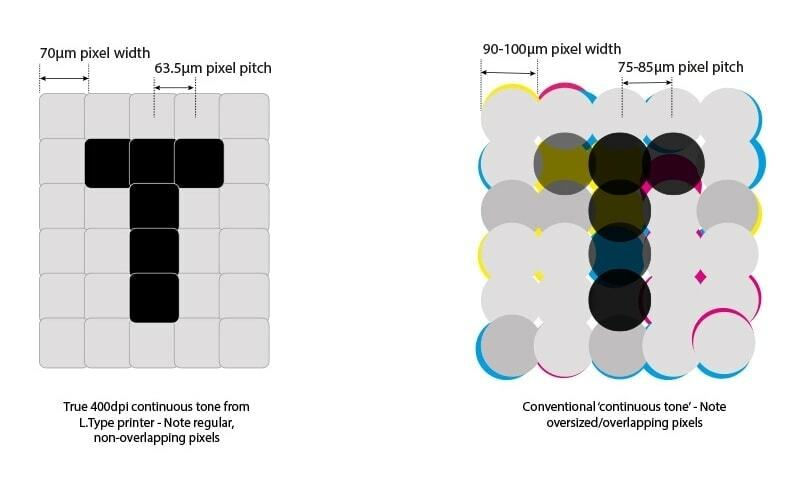 In this way, we obtain a so-called halftone print, as opposed to the continuous tone we were mentioning above: in fact, when we look at a magnified inkjet image, we can see a pattern of points with different colors. When we look at a magnified silver halide image, we don’t see that at all. Then, because of the visual impact of the continuous tone in the analog world, many printing laboratories have equipped themselves so as to be able to carry out C-Type prints starting from digital. I also tried some in the past but unfortunately, the result was not acceptable to me: chromatically inaccurate images and really soft, which would lose all that magnificent definition given by modern lenses and by the digital world. The L.Type guys also took up the challenge and spent the last 15 (fifteen!) 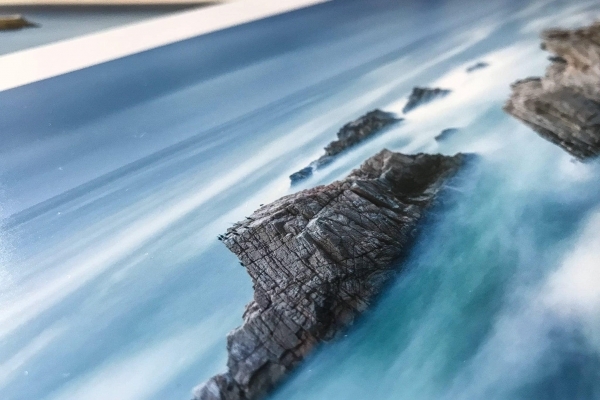 years trying to improve this type of print, not only investing a lot of time but also a lot of money in order to solve all the digital silver halide print problems that everyone has encountered…but they did not give up and did not accept average results. 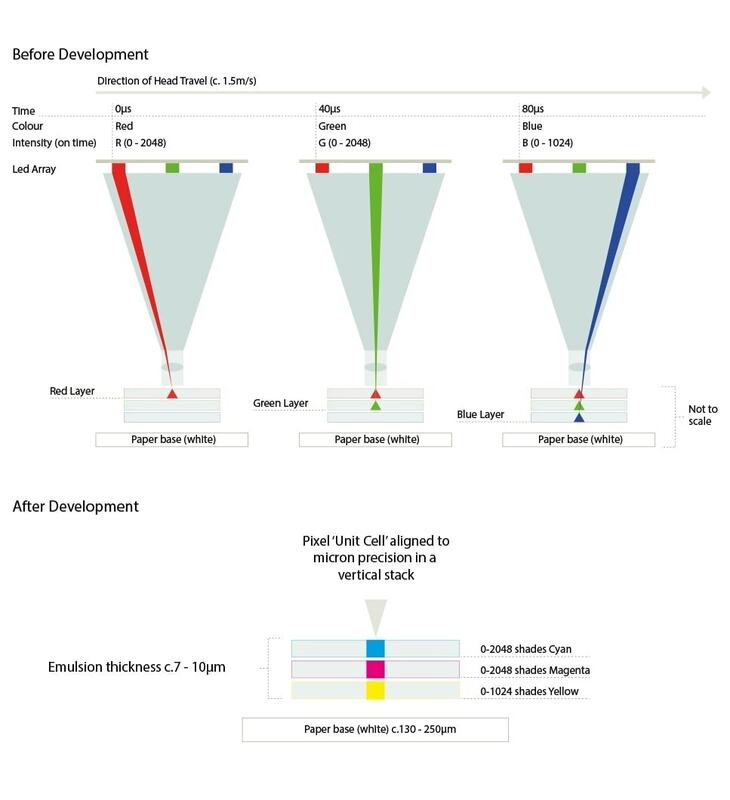 Basically, L.Type promises very deep blacks using only CMY dyes in the emulsion, very accurate hue control (32 bit) and more than 4 billion possible RGB input combinations, allowing very accurate mapping across the color gamut for each printed pixel (which is way more than the eye can see). Incredible? Yes. I absolutely had to try. As you can see, their catalog contains a considerable variety of products and weights. 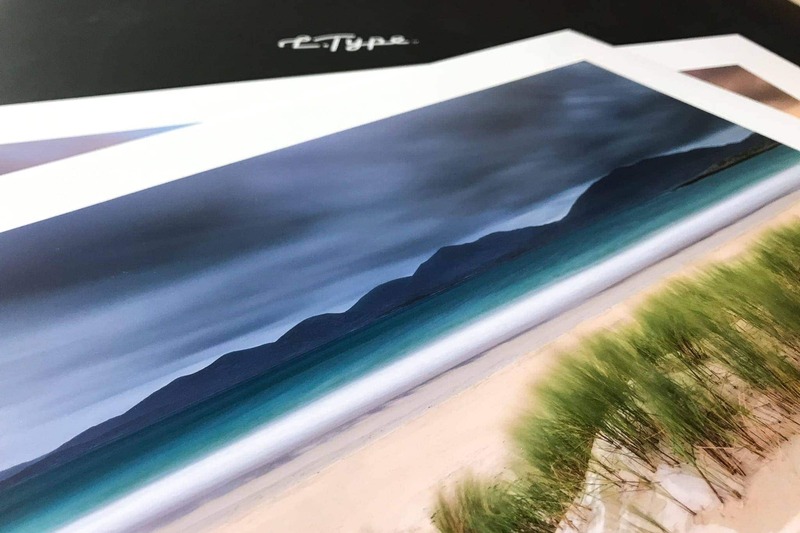 They range from the lightest prints, 230gsm, to the heaviest one which is 1750gsm, passing through one that we could define as an excellent product to which we could direct most of our prints, which is the matte 530gsm. From the above list you may also notice another detail: my entire order is for the size 297x420mm, which is indeed equivalent to the long-beloved and popular A3. Is that by chance? Obviously no. In fact, unfortunately, at the present time, it is not possible to carry out prints with the promised detail with larger sizes, as this represents a technological limit that has still to be overcome. Objection! 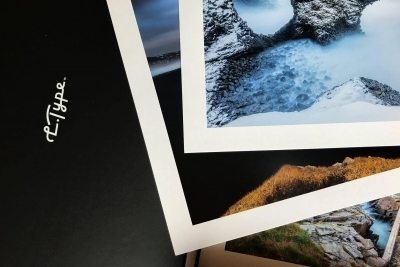 Lambda prints are well-known for enlargements without any problems and I have found labs that print in much larger sizes! Yes, totally true, but here we are not talking about enlargements and certainly we are not talking about soft or indefinite results. 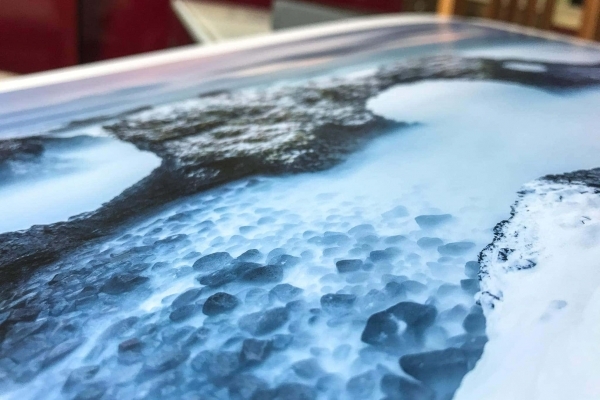 Here we are trying to bring the absolute magnificence, fidelity and definition obtainable from the digital world to a continuous tone print. The ordering process is really very simple and we are given many options. We can take advantage of the web interface, which allows us not only to submit our files but also to set whatever detail we want the printers to take into consideration. If we don’t know how to proceed, we can also ask them to contact us so that we can arrange the process. It is also possible to submit your orders simply by using WeTransfer, or communicating a link to a Dropbox or Google Drive folder, or whatever online folder of your choice, so as to let them directly download your files. Finally, there’s also an app for iOS where you can submit and track your orders. Being old school I’m obviously bound to the classic transfer using the web interface, which just works like a charm and there’s no need to download softwares or else. Both it and the iOS app work best if you already have your files in Dropbox – because then they work like a ‘remote controller’ for Dropbox, with only a low-res file actually downloaded to your device and the high-res file going straight from Dropbox to L.Type’s servers, making the upload process very quick indeed. 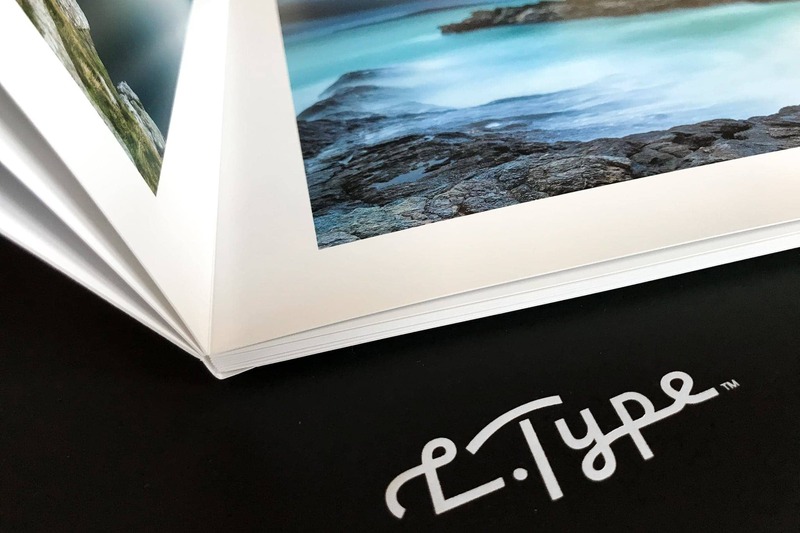 When I received the package containing my prints, I have to confess that I was as excited as I was nervous because of all the expectation and hope I had put into L.Type. Opening the package is already an actual experience, which probably those who have purchased an Apple product can understand. Every detail is perfectly taken care of, and opening the package is really part of the experience. As I think about the effect that such a professional packaging can have on the client, I’m even more eager to see the prints. My prints, being many, have been delivered in two separate folders. The first is bulkier and is a Portfolio Box which can contain at least about thirty prints. 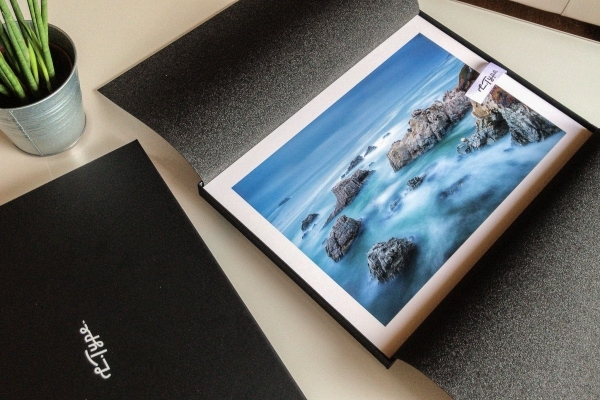 Mine contains most of the prints with different weights, and the photo book. 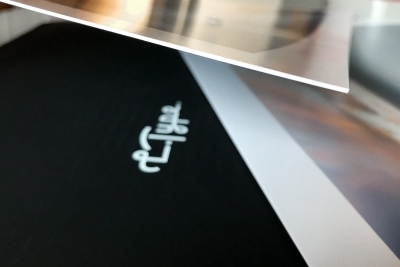 The details of this box are fantastic, with finishings that are absolutely flawless. I can already see this on a table in my house, with cotton gloves above, there waiting for friends and relatives…perfect for making a terrific impression. Ah, this box comes free of charge when you order 20 or more prints, not bad! The second container is the classic photo storage envelope. 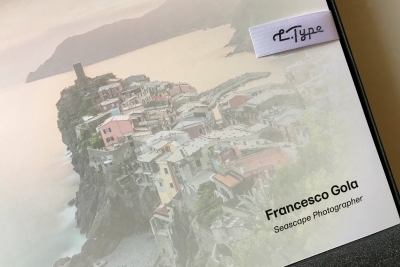 I think that this can hold about 5 prints, and thanks to this envelope, which is black with the L.Type logo on top, they surely also make a good impression on the client when the prints are delivered. 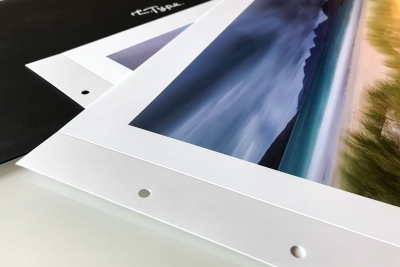 This envelope is also perfect for receiving the Portfolio prints and double-sided prints. But let’s come to the show piece, the actual prints. I have to admit I got goosebumps. The quality is actually astounding: absolutely accurate hues, very soft shades, absolute definition, deep blacks. Regardless of the finishing, the contrasts are fabulous and it really seems like you can jump into the image. 530gsm prints are really impeccable and have the perfect weight for becoming a final product for our clients, as well as for being framed and hung on our walls. 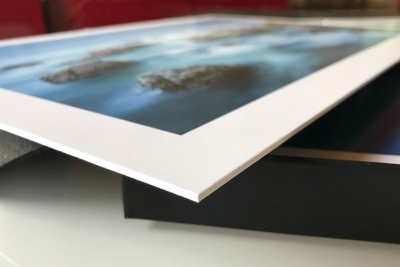 Prints with a lower weight (230gsm) are specifically designed to be handled easily without creasing and they seem like a perfect product to let our clients inspect our work without spending a fortune, knowing that they would probably be handled by inexpert hands. I love them as they do not suffer at all from the consistency of the paper with regard to tones and depth of blacks. The one risk with these thinner prints is that they are very easily creased, that’s why L.Type recommends that they are only used when the image is likely to be framed straight away. 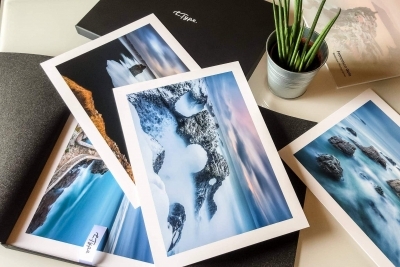 As they cost the same as the 530gsm prints, there seems little advantage in ordering them, except for the DPII Glossy paper, which only comes in 230gsm. The effect that can be obtained with double-sided prints is fantastic, and this is also optimal for a Portfolio solution to be presented to a client: the weight of 460gsm, even if not pronounced, allows a perfect separation of the sides and a pleasant sensation to the touch when you run your hands through the pages of the portfolio. Finally, the book. By now the print quality is absolutely not a surprise anymore, it’s actually a pleasant confirmation: clean images, well defined, tridimensional. 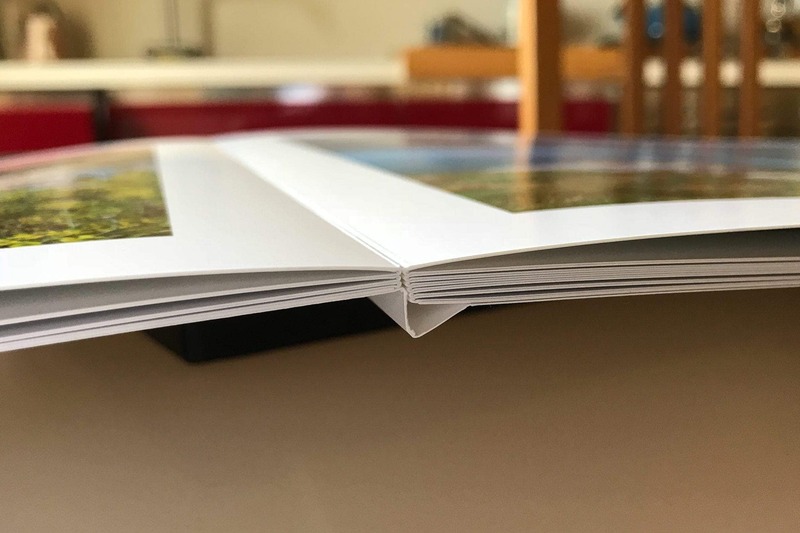 The binding is really well made, allowing us to move from one page to another without hiding portions of the images, and the same holds true with regard to the trims, which can be obtained on the cover in order to make it even more beautiful and presentable. 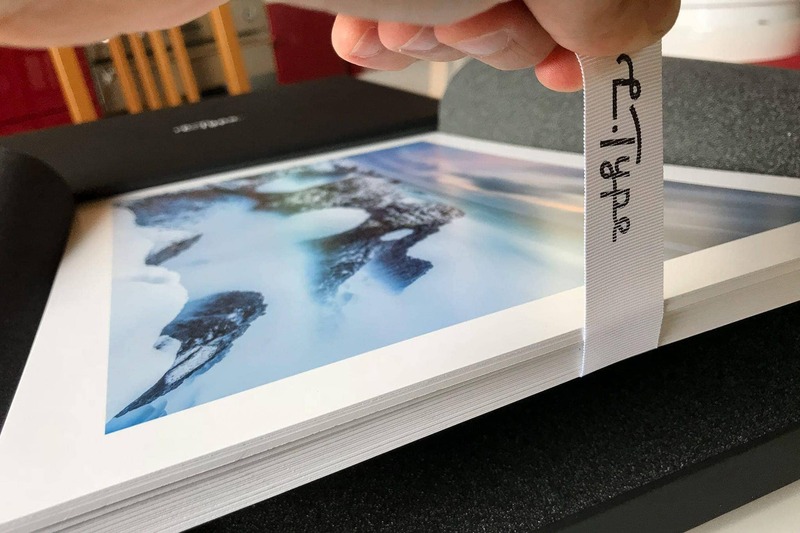 I want to spend my last words here for the Exhibition Print: in fact, it is a print that uses the same paper quality but with an incredible weight of 1750gsm! Without any doubt this is a type of medium to take into consideration if we think of a photo exhibition, where we know that those who will come to see the exhibition will most likely get very close to the print, and thus we’ll be able to let them appreciate the effect given by the continuous tone print. Without a doubt, L.Type prints exceed any rosiest expectations and redeem the world of digital silver halide print. 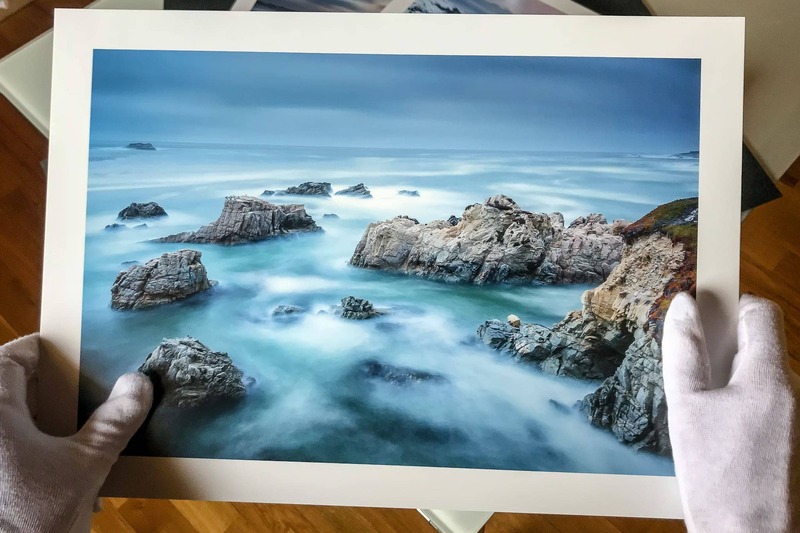 I love to print, and I love even more holding in hands a print of one of my photos that is exactly like I had it in my mind. 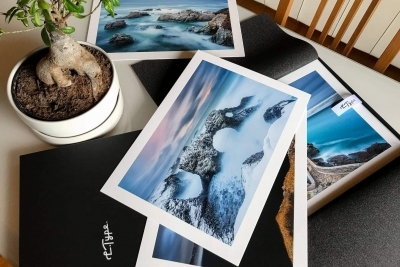 The quality is unquestionable, and all the limits by now accepted in Lambda prints are overcome. Colors, definition and blacks are impeccable and beholding an image become an actual experience. 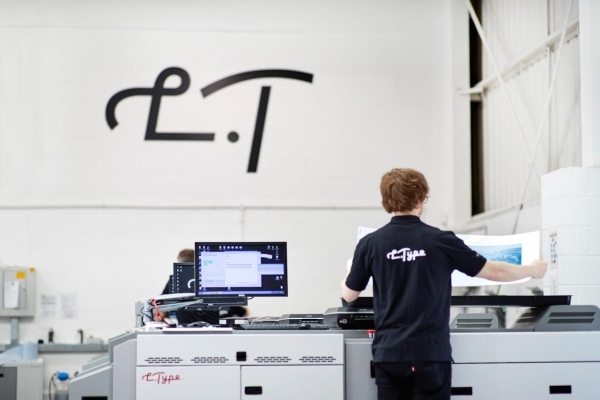 The print quality is guaranteed by the L.Type guys, who every day carry out all the necessary recalibrations so that you can be sure that you will receive the print that you expect, and by the fact that L.Type has decided not to commercialize its printing machines, so as to make sure that the correct printing process will be followed for every single print. At last, a due look at the price. 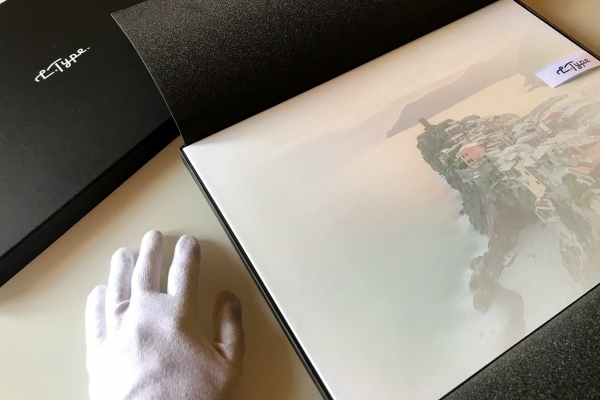 If you think that their prices are crazy, you will be surprised to know that the price is lower than that of a Giclée print of the same size made by a specialist lab. How is that possible? Simple: most of the cost of such print is represented by ink, and here we don’t use any ink. So now your question will be: shall I get rid of my printer and forget about the world of inkjet prints? Naturally the choice is up to you, but my answer is no. 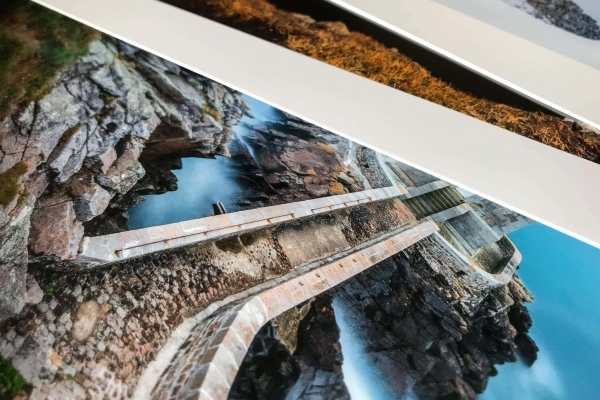 We are talking about two different printing processes for different finished products. Even if L.Type represents an actual revolution in C-Type digital print, there’s still some road to be covered: the technological limit of A3 will surely be overcome, but it will still take some time, and unfortunately the available types of paper are limited, and we know, we print lovers are paper fetishists, and we have learned to hate and love at the same time the infinite types of paper and the consequent effects that can be obtained with traditional baryta or cotton paper, which I madly love. What I have certainly learned is that from now on I have one more choice, which guarantees a superb level of quality. If you love prints L.Type is definitely your next step.